In the tragic event of a loss, the ability to quickly restore data and return to full functionality protects your business.We will backup all of your data at one of our SSAE 16 geographically diverse data centers, which provides an additional layer of security, enabling the quick recovery and replication of anything that is lost. 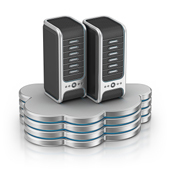 Premium backup and replication solutions are available for businesses that require immediate attention; this service enables instantaneous recovery of information and access to your information from any location at any time. Whether your backup and replication needs are standard or immediate, ABC will meet your requirements. If you would like more information on how we can create the perfect backup and replication with the support of WHOA Networks, please complete our contact form or call us directly at (800)-226-4ABC.